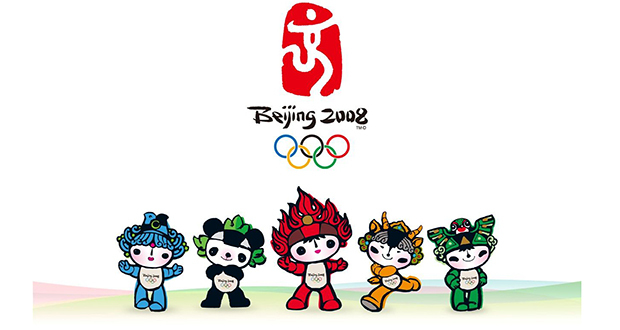 For the 2008 Olympics in Beijing, the Chinese government announced that people could apply for permits to protest in designated areas. None of the permits were granted, and many of those who applied disappeared or were arrested. 2. Basketball player Yao Ming's conservation campaigns have led to a 50% reduction in the consumption of shark fin soup in China. 3. A man in Shaanxi, China, recently realized that the long-handled, blunt-ended object he’d been using for 25 years to crack walnuts was actually a live hand grenade. 4. 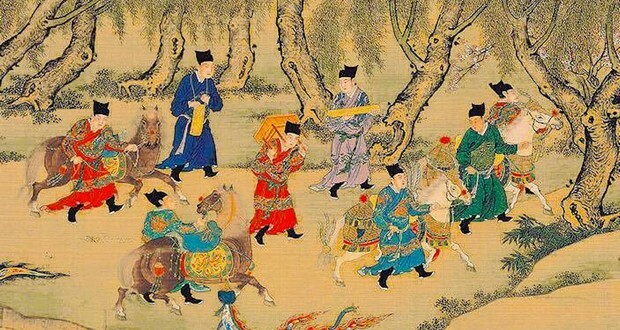 The Han dynasty of China drilled for natural gas, transported it in pipelines and gas containers and burned it in stoves in 200 B.C. 5. Hong Kong has one of the world's most efficient subway systems with a 99.9% on-time rate and the entire system is managed via Artificial Intelligence. During China’s Ming Dynasty, powdered smallpox scabs were blown up the noses of the healthy. The patients would then develop a mild case of the disease, and from then on were immune to it. Although the technique had a 0.5–2.0% mortality rate, it was better than the disease's 20–30% mortality rate. 7. A Chinese beggar named Cui Xianren whose hands were ruined in an explosion spent a decade designing a new type of two-handed calligraphy. The result was so impressive that China’s largest font maker gave him a design contract with 50 years of royalties and helped to get him off the streets. 8. Over 60% of Chinese consumers say that they are willing to pay more for products labeled “Made in the USA” than for those labeled “Made in China”. 10. China has deforested most of its historically wooded areas. A law promulgated in 1981 requires that every school student over the age of 11 plants at least one tree per year. 12. 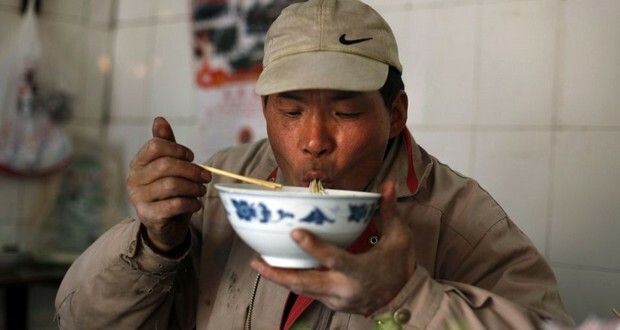 China's subway beggars have designed a system that governs which turf they get to work. Greenhand beggars who intrude on lines reserved for the disabled or elderly get a beating. 13. The three gorges dam in China holds back so much water that it slows the rotation of the earth slightly. 14. Hong Xiuquan was a man who thought he was the younger brother of Jesus, led a rebellion in 1850 to establish his 'Heavenly Kingdom' in China. The conflict caused 20 million deaths which was more than World War 1. 15. In 2007, China tested a missile and shot down one of their own satellites, accidentally creating 2,087 pieces of space debris on crazy orbits, all of which are now required to be tracked to avoid space collisions. 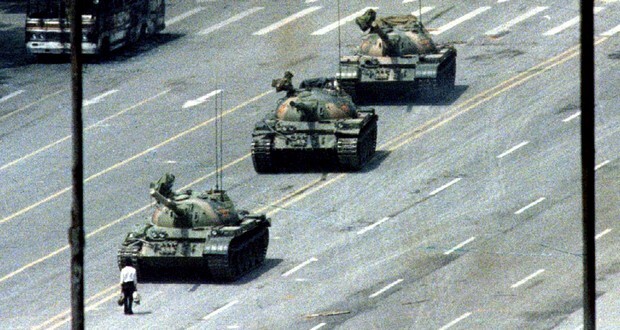 The famous image of Tank Man is almost entirely unknown to people in China due to government censorship, even to this day. 17. China discovered multiple ancient tombs dating back 1,800 years in the city of Nanjing, only to destroy them by building an IKEA over the site. 18. The Great Wall of China is being stolen brick-by-brick by locals to build houses and also by visitors as souvenirs. 19. A Chinese businessman bought a non-functional aircraft carrier from Ukraine, allegedly to use it as a floating hotel/casino. It took more than 4 years to tow it to China. Later the Chinese government bought and modernized the carrier, making it its only aircraft carrier its navy owns today. 20. The reason buildings in Hong Kong have gaping holes is to allow dragons free passage from their mountain homes to the sea. The Chinese army is under the control of the Communist Party and not the national government of China. 22. The Ting Hai effect is a stock market phenomenon in which there is a sudden and unexplained drop in the stock market whenever a film or a television series starring Hong Kong actor Adam Cheng is released. 23. It is a taboo to wear green hats in China because it signals you as a cuckold. 24. The tomb of the first Emperor of China (Of Terracotta Army fame) has not yet been explored. Ancient historians wrote that the tomb contains rivers of mercury mechanically operated to flow like real rivers. Modern tests have reported mercury levels in the soil over 100 times what occurs naturally. 25. In China, 97% of all counterfeit bills in circulation originate from the templates hand-drawn by 73-year-old painter Peng Daxiang. Peng profited by selling templates between $8000 and $12,000 each to counterfeiting gangs. Peng was arrested in 2013 and is currently serving a life sentence in prison.